Family Room, Gas Burning, Living Room. I am interested in 3038 Paxton Avenue, Palmdale, CA 93551. Courtesy: Coldwell Banker-A Hartwig Co. Courtesy: Keller Williams Realty A.V. Courtesy: LG Realty & Associates Inc.
Sign up for Inside AccessTM to view recent sales near 3038 Paxton Avenue. Courtesy: Century 21 Yarrow & Assoc. The real estate listing information is provided by Greater Antelope Valley MLS for the consumer’s personal, non-commercial use and may not be used for any purpose other than to identify prospective properties consumer may be interested in purchasing or leasing. 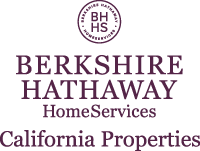 Any information relating to a property referenced on this web site comes from the Internet Data Exchange (IDX) program of the Greater Antelope Valley MLS. This web site may reference real estate listing(s) held by a brokerage firm other than the broker and/or agent who owns the web site. Information is deemed reliable but not guaranteed, and consumer is responsible for verifying the accuracy of all information. This content last refreshed on 4/24/2019 2:47 AM. Some properties which appear for sale on this web site may subsequently have sold or may no longer be available.